Back in 2008, we organized a family gift exchange for Christmas, and one of the items on my brother-in-law's want list was a chromatic guitar tuner for his band Guajira. Seeing this, I began thinking about how one would go about building such a device, and, thinking it would make a cool Christmas vacation project, I decided to try my hand at it. After a bit of research, I started designing on December 19th; after much programming, building and testing later, I finished with moments to spare on December 24th. Over time the video has elicited many technical questions from viewers, questions which I couldn't answer in full detail until now for reasons unnamed. I'll try to provide a bit more detail than usual in this writeup, but keep in mind this project is almost two years old so the details are getting hazy. :P Also, since I no longer have the device in my possession, having given it away at the gift exchange, I'm unable to take new pictures of it, and I'm stuck with cruddy webcam pics. As seen in the video, the device has a few functions. It accepts analog input from a standard 1/4" TRS jack, performs monophonic pitch detection on it, and either displays tuning information or outputs MIDI signals based on the detected pitch. Tuning can be adjusted by moving A up or down a few hertz from 440. There is a bypass switch, a backlight switch for the LCD and a contrast ratio pot; the whole thing runs on either DC power or a 9V battery. Directly from GitHub at https://github.com/raptorofaxys/deambulatorytuner. This has been built against Arduino 1.6.10 but not tested on a physical device.. The same from Google Drive. For the Google Docs link, you can use the File/Save option to save the archive to your disk. First off, I am far from being proficient with hardware design; my experience is quite limited, and I'm much more comfortable with digital than analog. 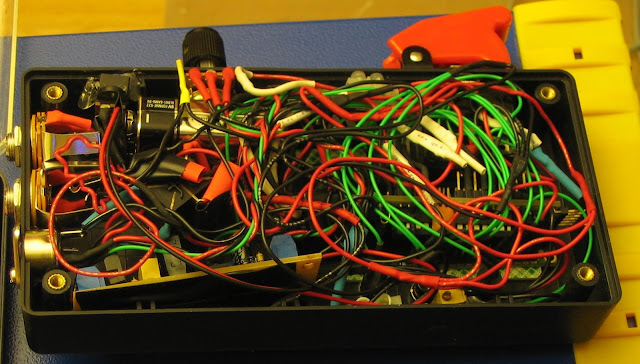 I didn't have an oscilloscope when I built the tuner, so I did a lot of fiddling with component values using just a multimeter and a few speakers to listen for noise. (I've since acquired and assembled a DPScope, they're excellent.) As such, the design process was very much empirical, and I had fun swapping parts to see what worked best without the worry of frying a few pennies' worth of electronics. 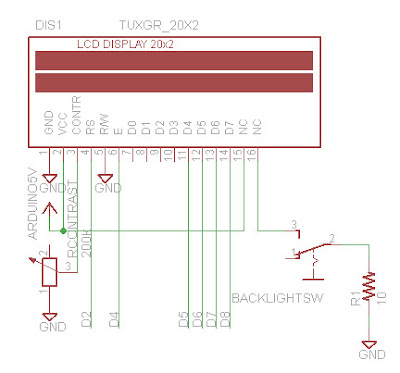 Also, missing from these schematics is an Arduino. I used a Real Bare-Bones Board from Modern Device, which I recommend; cheap, tiny, easy to assemble. Signals named A5, D4, D5, D6 etc. 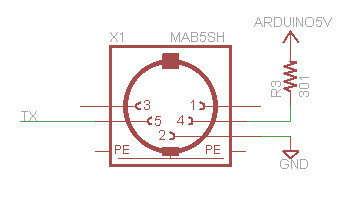 in the following schematics connect to the pins with the same name on the ATmega168. There were a few LED connections and simple pushbuttons, whose circuitry I didn't outline here. If you're wondering how to connect such devices to an Arduino, I would suggest the Arduino Playground as a starting point - it's a great wiki. The power stage, which provides regulated 9V power to the rest of the circuit. POWERSW is the system's power switch, which does its job by connecting the system ground to the power jack's ground pin (pin 3 on DCEXT). In the case where no external jack is connected, DCEXT's pin 2 is connected to pin 3; the LM317T remains unused, and the 9V battery directly feeds VCC and GND. The battery leaks 6mA through R2 and VADJ, which is quite crappy. You mileage may vary when adding a filtering capacitor before the LM317T; I found it made no discernable difference in this case. Well, it doesn't get much simpler than this: a dual-pole, dual-throw switch that either routes the signal from the input jack to the circuit or right back out, like a 2-way multiplexer. The foot switch was difficult to source, and once I found an appropriate one, it took up LOTS of space in the case - on the order of two cubic inches. I hadn't really planned for this. Button wiring; not much to see here, just a simple pull-up resistor setup. As reader Geoff Steele pointed out, you can also simply use the ATmega's internal pull-up resistors. Once again, pretty standard stuff. The LCD I used had a backlight, hence BACKLIGHTSW. Contrast adjustment is done using RCONTRAST, on pin 3. Pins 4, 6, 11, 12, 13 and 14 form a 4-bit data connection to the Arduino, as described on the Arduino LiquidCrystal page. The cheap surplus MTC-16205D LCD I used required some extra "convincing" to boot up properly. I included the LiquidCrystal library directly in the PDE and modified the source to get it working. More standard fare; I recommend the ITP page about MIDI output from Arduino, it's great! This stage is the one I spent the most time trying to get right, and (I'm guessing) probably the portion of the circuit which is of most interest to the people trying to build something similar. I'm positive there are many grievous design errors in here, but in the end I got it working well enough. 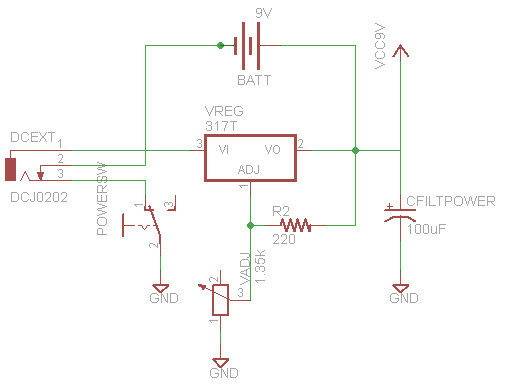 Overall, what this circuit does is take the input, adjust its volume (VADJ), amplify it (the LM386), and convert it to a form which the Arduino can sample (R7/R8/D1/D2). Volume adjustment is done using VADJ1 as a voltage divider. I preferred this approach over adjustable amplification gain because the physical mapping of "angle of the volume potentiometer" to "amplification volume" was easier to control this way; judging by the LM386's typical applications, this seems to be an oft-favoured way of doing things. The LM386 is setup as a fixed gain amplifier, whose gain is adjusted to 200 using CFILT3, as per the datasheet. The output is fed through a low-pass filter built using CFILTAUDIO and R6; this rejects unwanted noise from the amplifier. Without it, you can hear AM radio faintly, and there is a lot of crackle in the amplified sound. I added R5 to set the minimum amplification level. R5 effectively create a "floor" for the voltage divider formed by R5 and VADJ1. I added the INPUTCOUPLING capacitor to fix a buzzing problem; I think I wound up using a bigger value than 0.011uF, however, since that's an unusually small value for a coupling capacitor, one which I think might have filtered the signal a bit too much. Much like the output coupling capacitor, this prevents DC from entering the op-amp (LM386) and being amplified, offsetting the output signal. I distinctly recall trying multiple values on for size here. Instead of connecting a speaker to OUTPUTCOUPLING, I connected an analog input on the Arduino so I could sample the signal. There is a small problem here: you can't just take the output from the LM386 and connect it to the Arduino pin. This is because the amplifier, as set up, outputs signals from 0V to 9V, centered around 4.5V; under normal conditions, an Arduino can only sample analog signals between 0V and 5V, so a direct condition would not only saturate the ADC but likely damage the Arduino's input. The second thing we must to is a bit trickier. 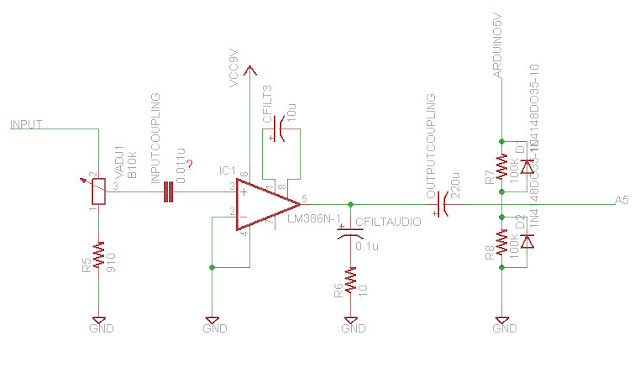 The output of the LM386 centers around 4.5V, which is half its supply voltage. The Arduino, however, has a mid-range input of 2.5V, which is half-way between 0V and 5V. If the Arduino just sampled the signal as clipped by the diodes, we'd be sampling the amplified signal in an asymmetric fashion, with 4.5V of range on the negative side (i.e. anything below 0V on the amplifier input will be below 4.5V on the output) but only 0.5V of range on the positive side. This means that the Arduino would get a skewed view of the waveform from the LM386, which would make it difficult for us to have an accurate "big picture" of the waveform for frequency analysis. You may wonder what we do about scaling the range of the signal. The answer is: nothing, VADJ1 takes care of that for us. Since different guitar pickups have different signal levels, on the tuner I built, the user adjusts VAJD1 using a potentiometer. Software-driven LEDs indicate amplified (and sampled) signal strength for calibration. Despite warnings from my E&CE241 teachers and lab instructors to the contrary, as long as you keep the datasheet warnings in mind and your finger not too far from the kill switch, it is perfectly fine to try various component values in your circuit. In fact, it's fun and instructive, and I plan to do more of it in the future. Seeing as how it's performing signal analysis, the tuner is fairly sensitive to power supply noise. About a year after the tuner was made, I took it in for a "service call". The unit sometimes no longer detected pitch properly; after some testing, I realized this only occurred if the LCD backlight was on and an external power adapter was used. It seems that when the LCD backlight is on, the extra load on the power supply stage increases the ripple which makes it through to the amplifier stage and Arduino supply (which, in turn, probably affects the reference voltage of the ATmega168's ADC to some degree, even though the Arduino has its own regulator). My hypothesis is that this is due to failure of some kind in the power supply filtering; possibly my recycled 100uF capacitor gave up the ghost or otherwise deteriorated; perhaps my soldering was suboptimal; perhaps there are gremlins in the box. In any case, this is very similar to what occurred on a breadboard when I accidentally knocked the 100uF capacitor out. The software does a few things. I won't really discuss the pushbutton logic and so on here, since there is a lot of documentation available about that. The two things I get the most questions about are the pitch-detection algorithm and the method I used to output slim vertical bars on the LCD. I tried a few "heuristic" algorithms - counting zero crossings, analysing the first-order derivative, and so on - but these often depended on the shape of the signal, which gave erratic results. 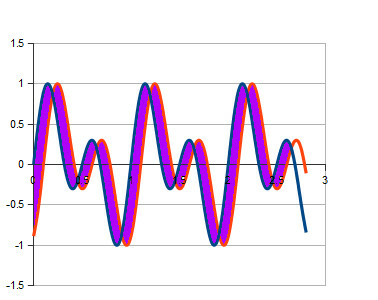 (Even a single vibrating string has multiple harmonics which make such approches difficult to work with.) I wound up settling on a home-grown variation (and simplification) of an algorithm called YIN, which you can find described here. Based on autocorrellation, this algorithm worked much better than all other approaches. However, as you might tell from the paper, it is relatively expensive in terms of computation and memory, at least as far as an ATmega168 goes. (Newer Arduinos now use the ATmega328; double the SRAM goes a long way, but you might be constrained by the speed at which you can process the data.) The challenge was to adapt YIN to make it work with a 16MHz CPU that has no FPU and a few hundred bytes of available RAM. Copy of the original signal. The idea is to keep sliding the copy over until the area between the two resulting signals is minimized. Notice how the red copy keeps sliding over to the right, and how it gets closer and closer to "matching" the blue copy again. So that's the general idea. But how do we make it run on Arduino? Put another way: what is it that's prohibitively expensive about YIN and prevents it from running on the ATmega168? 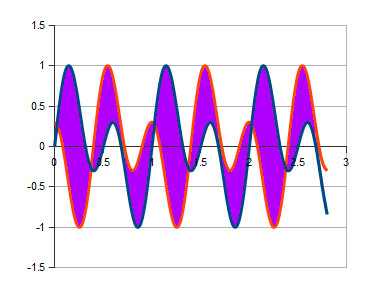 In practice, I found the two constraints were the time spent computing the value of the difference function (related to the "size" of the purple area above), and keeping a tight reign on the memory requirements of the sampling buffer. The first hurdle you run into is floating-point math support; simply, there is none on the ATmega168, so you have to give up on floating-point math in any performance-critical portions in the code. I used fixed-point math where I required fractional quantities in the code. where tau represents the offset at which the difference function is being evaluated. That really helped speed up execution, but it was still too slow and memory-intensive. As it turns out, if you can reduce the size of your buffer, you also gain in computation time, because you have fewer samples to process - two birds with one stone! So the next step was trying to figure out a buffer size for which the computation was fast enough, while maintaining the required pitch detection precision. 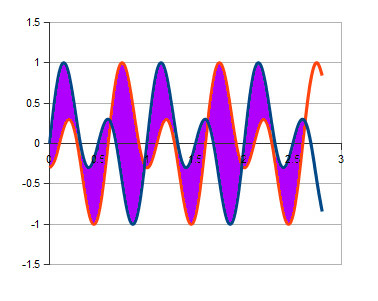 See at the end there, around the 440Hz mark, rounding up the 21.85 gives 22, and rounding down the 23.15 gives 23 - that means that using integer buffer offsets (integer values of tau) in the formula above, it would become difficult to differentiate consecutive semitones starting around that A. One way to increase the precision would be to reduce the prescaler value on the ADC and sample twice as often, which would mean reducing the speed of the code by half and growing the memory by a factor of two. But what is the exact buffer size we're talking about here? What would be the minimal buffer size required to work with the YIN and the frequencies we want to analyze? Well, we need a minimum of two full periods being sampled, in order to be able to copy the first period over the second. Looking at the above table, if we set our minimal frequency to 55 Hz, 175 samples are required to sample a full period, so the minimum size of the buffer would be 350 samples. The above table shows that these settings are sufficient for coarse precision, around 100 cent of a semitone at the highest frequencies. This is what the code uses for perform pitch detection when in MIDI mode, because it is important to reduce latency (and thus minimize computation). However, 100 cent is hardly sufficient to perform precise tuning of guitar strings, so we must dive further. I use another trick from the YIN paper: sub-sample interpolation. The idea is simple. In practice, the offset at which the difference function is minimized will never be an integer value; it will be a fractional value, meaning that you have to shift the red copy of the waveform over by a fractional number of samples for the two copies to line up perfectly. Unfortunately, we only sampled the signal at specific intervals, so in order to be able to "resample" the signal at fractional offsets, we reconstruct an approximation of the original, true, analog signal by interpolating between the samples we took. Where YIN uses quadratic (second-order) interpolation, however, I was limited to linear (first-order) interpolation by the processing power. Nevertheless, this provides greatly-enhanced precision. In the end, to get everything integrated and running, I wrote a small set of classes that allowed me to profile single statements as run on the actual hardware. I also used avr-objdump to disassemble the code produced by the compiler and understand where the inefficiencies were. (There was no need to hand-assemble code; the compiler does a fine job as long as you use the correct datatypes.) I fiddled around with the sampling precision (the ADC on an ATmega168 can sample up to 10 bits of precision), the minimal detection frequency, and the interpolation step size a great deal until I settled on 8-bit samples, a minimum frequency of 60 Hz, and a prescaler value of 7, for a final buffer size of 321 bytes. The sub-sampling code uses fixed-point math with a 5-bit fraction, and it solves up to the least significant bit when finding the minimum in the difference function; thus, the tuner has a theoretical accuracy of 1/32th of a sample, or approximately 2.4 cents of a semitone at 440Hz (3.8 cents at 880Hz). Rendering the thin vertical bars on the LCD is actually not very complex. Most LCD drivers have a small area of memory called CGRAM, short for Character Generator Random Access Memory, which allows you to create a few custom characters for display. Since the display matrix of the LCD I used was 5x7, I merely created five custom characters, each which a different column of dark pixels. Turning on a given column of pixels then becomes the simple matter of writing the correct custom character to that location on the screen. As mentioned above, about a year after hacking this thing together, I took it in to replace the battery. By this point, my digital camera was repaired, so I snapped a few glorious pictures of the complete mess that it is. Setting up the conversion frequency is usually a matter of twiddling the ADPS0, ADPS1 and ADPS2 bits in the ADCSRA register. There is an example of this in the tuner code linked on this page, in Tuner::Start(). Note that for very high sampling frequencies, if you're doing a lot of work, you might have to do a bit of math to make sure your CPU can keep up with the ADC. Note that before settling on YIN, I tried various simpler approaches - zero crossing, peak counting, combining this with slope analysis, etc. and though they /sometimes/ worked for specific notes, they were still nowhere near as reliable as YIN, because of the harmonic content present in guitar strings. They would work for very simple waveforms with very attenuated or no harmonics, however. Best of luck, and have fun! 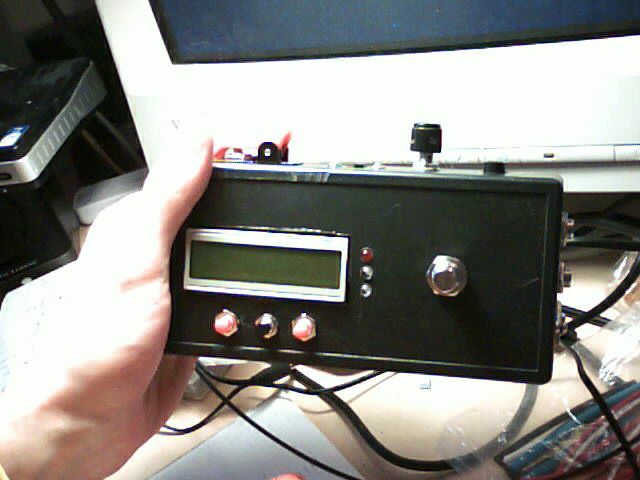 i build a guitar2midi converter using your yin implantation from here posted tuner code. i get ~42ms latency. this is ok enough for me. i try several other methods from zero detection to complete fft. but the yin method looks like the fastest and also most error resistant method. blah blah blah, i only want to say thx for this impressive suggestion, because i was nearly on the point to give up. Awesome, glad you managed to make use of it! Thanks for the feedback! hopefully this is ok for you, because 95% from my converter code are simply a copy from your code. 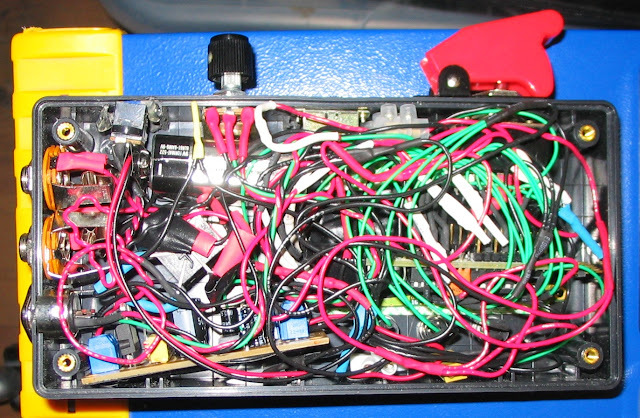 i only remove all things needed from tuner and lcd display and change some things in the midi note on/off logic. Great project! :D Thanks for letting me know! Glad you got some use out of it! This project description was really helpful, thanks! I'm working on a variation of this as a project, using separate string pickups to do polyphonic midi. Did a lot of poking online to find YIN, and then your implementation. I probably need more memory and cycles to do 4-6 strings in parallel, but I'm going to start with the pickup implementation and testing it w/your code. Thanks again! What micro are you using? Sorry this is 4 years after the fact... How did the project go? Wow, that sounds awesome! Let me know what you come up with! Best of luck! I've more or less created the identical amplifier with some minor tweaks, and am powering it, as well as a universal tuner pick up via vcc on the arduino, but I am trying to use the pulsein function for frequency measurement, not YIN. So long as I take a large enough sample, things thus far, seem to work okay. Fairly uninvasive code as it does not use atmega pin 5 timer counter or libraries. Is there anything fundamentally unsound to what I am doing? Why aren't more people using pulsein samples, and calculating frequency that way? I imagine outside the audible range this method lacks accuracy. But for an audio/instrumental application it seems fine, no? Hello gbcben! Hmm, I have not worked with the pulsein function, but from the documentation it seems it is a variation on the zero-crossings method. I've tried a few, and indeed it is possible to get somewhat workable results (as noted above), but the problem comes in when you have harmonics in your signal... because of the harmonics, the number and interval of zero crossings will vary depending on many factors like your amplifier bias and gain, and so on. With a steep low-pass filter you might be able to get rid of many of the offending higher-order harmonics and make your input signal into more of a sine wave, but that would restrain the range over which your tuner (or pitch detector) would work (unless you applied the low-pass in software and perhaps came up with some kind of adaptive strategy to raise the cutoff frequency of your filter until you let a minimum amount of energy through, perhaps). In any case, even with a few variations on that theme, I found I was still too far from the really accurate results I wanted; for my purposes, YIN was the perfect fit since it did not depend on any amplifier or filter parameters, or the waveform shape. (This last quality allows it to work with any instrument which has a pitch; I use my voice as an example in the video, but it could be anything else.) So... to answer your question, there is absolutely nothing unsound about what you are doing, and if it suits your purposes and needs, then by all means, proceed! I simply found that YIN provided that extra step in accuracy and robustness that I required. Thanks Raptor, the harmonics became a problem. I am getting the higher frequency harmonics on problem pitches. Which is unfortunate, because the rest of the time I get frequency accurate to small fractions of a hertz. I'll be tweaking my circuit, and utilizing a YIN approach. If someone were looking for a simple tuner, where you simply get frequencies, and had a preset that you were tuning for, then did some division for scaling, then you could do a very very light weight and accurate tuner with my approach. But if you need the actual frequency of the instrument(not a scale of it) then YIN seems to be the best approach. For the sake of anyone doing similar things, I'll update this comment thread after I make adjustments. Many thanks for sharing your experience! I'm sorry to hear it didn't work out in the end, but at least it sounds as though you identified a subset of input cases where the approach makes sense..! Thanks for your interest! Actually, do you mean something like this? I've been looking for an excuse to write up that project as well, let me know if that interests you! As far as the code goes, for the tuner, you basically only need the Tuner class and the few functions it relies on. However, you can strip the m_lcd member and any code that uses it, along with anything relating to glyphs or the LiquidCrystal class. I think you should be able to set ENABLE_LCD to 0 and have it work, but I have not tested that recently - there may be a few minor compilation nags to fix. That's a fairly summary description of what should be needed; let me know if you need more detail! please help as in your code there's probably something similar. You could easily use nameIndex to light up a specific LED instead. nameIndex will correspond to one of 12 notes in the scale: A, A#, B, C, etc. I'm just curious, what resistance values did you use for R5 and R6? And pin 7 is just left unconnected right? Thanks once more for the kind words! As far as filtering out the MIDI and LCD code... as noted (and buried) somewhere in the comments above, I think you should be able to get rid of most of the LCD stuff by #defining ENABLE_LCD to 0 instead of 1, but I admit I haven't tested that compilation path lately. And as for MIDI, you can just comment out everything having to do with Serial - the serial port is only used for MIDI output. That will actually free up the port for you to print debug output to, say, a PC, if you want to modify and debug the code anyhow. Hope this helps a bit..! Darn, that's bizarre? I just tried the public link (http://dl.dropbox.com/u/2330215/blog/TunerCode.zip) from two distinct IPs, and everything seems to work fine. You might be able to get it to work over https as well: https://dl.dropbox.com/u/2330215/blog/TunerCode.zip I know this has worked in the past, but there may be some kind of new technical hurdle. If it still doesn't work, let me know and I'll try to find an alternative. Awesome - the public link did the job. Hello Please I need your help im trying to only read the musical tones and active a relay for each individual note. -due to the pitch detection approach used, it will not detect multiple notes at the same time. It will only report the lowest note played, and even then it will probably have trouble doing so when the input signal is polyphonic. 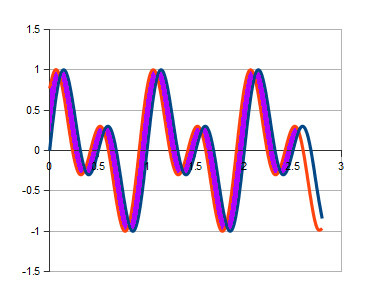 If these limitations are not acceptable for you, you might have better luck with an approach based on the Fast Fourier Transform (FFT), which you can research by googling "arduino FFT". 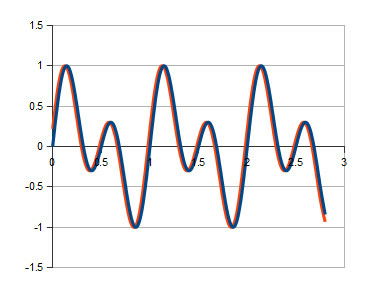 The FFT will allow you to analyze the signal on a frequency spectrum basis, and you can attempt to pick out any peaks to detect played notes. If you still wish to being from this project, I would start by downloading the code linked on this page, setting ENABLE_LCD to 0 and using the MIDI mode code as a starting point. Best of luck! Oof... that is a difficult thing to estimate. From a cursory glance at the code, one can see it uses floating-point math; since the Arduino does not have a floating-point unit, it is safe to assume that the algorithm as written on github would run prohibitively slowly on Arduino. Moreover, depending on the actual Atmega chip you plan on using, the memory requirements can quickly get out of hand, even for a single-precision sample buffer. If you are locked into using an Arduino for your project, then my humble suggestion would be to either use the code I provide on this page as a starting point or go down the FFT route. However, if this is something "on paper", perhaps nothing prevents you from changing your design to be centered around a DSP chip with a floating-point unit, an FPGA, or even simply just a much faster general-purpose microcontroller. That would get the number-crunching limitations out of the way and perhaps allow you to concentrate on the tuner-specific parts of the project. Best of luck, and thanks for taking the time to comment! I'm learning so much reading this topic. Can you please check the code link?? i'm trying to download it to get more perspective to the project, understanding it from inside. I'm already on a project based on yours and many others from the internet. Right now i'm stuck in the very begining, i don't know if my preamp is properly working. I made some little programs trying to test it but were helpless. Do you know any solution to test the preamp without building all the rest of the electronics? Thanks! Hmm, I just checked the link and it seems to work for me. The original link is on dropbox though, that seems to be blocked in a few locations... I added another to Google Drive, let me know if that works. The best solution to test the preamp would probably be to borrow an oscilloscope just to see what the output looks like, but if you don't have access to a 'scope perhaps the next best thing would be to temporarily connect a speaker or some cheap headphones and use your ears to determine whether the sound seems "OK". 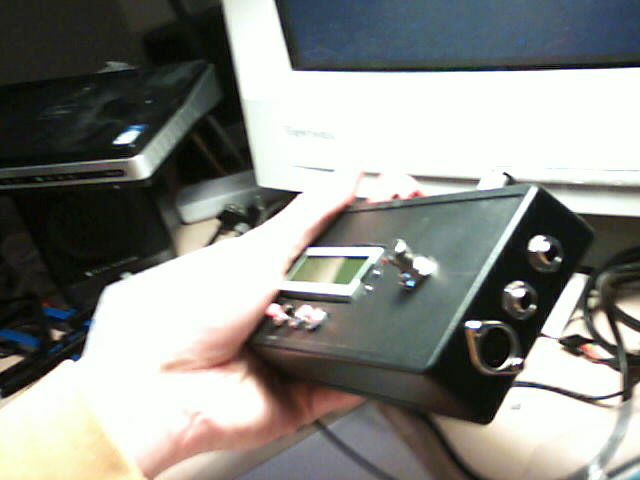 That's what I did, since I didn't have an oscilloscope at the time I built this. Ideally, you'd add a small coupling capacitor before the speaker to make sure you don't send a DC signal through the coils, but if you're just connecting a speaker for a short amount of time and the coils don't have time to heat up to much you might be OK. Your mileage may vary. :) An old PC speaker would do just fine! Hi! thanks for the answer! The oscilloscope is stucked in my wishlist im afraid hehe. We (my brother and me) have builded the power stage and the preamp electronics but we cannot make it works fine. On a simple arduino code we got the analog read at the serial monitor, but it is always 1023 (máx read, it doesn't matter about the guitar (lol). 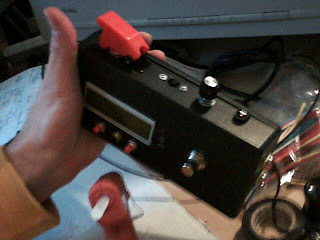 This is the beggining of the project and it is the third preamp we've build so... I'm starting to think that we are doing something else wrong. It there a chance that you still have the eagle files of the schematics?? By the way... I finally downloaded the code by the https dropbox link. -with no input signal, have you tried measuring the DC bias of the input to your Arduino? The resistor network (R7 and R8 in the diagrams above) should give a bias of around 2.5V for a supply voltage of 5V. That's kind of "neutral ground" if you will; for zero input signal, the arduino should read 512 (for a 10-bit reading, which is what you seem to imply from the 1023 in your above post). -the DC bias on the output pin of the LM386 should also be one-half your supply voltage, so 4.5V if you're using a 9V supply. That means pin 5 of the LM386 should read 4.5V without any input connected. 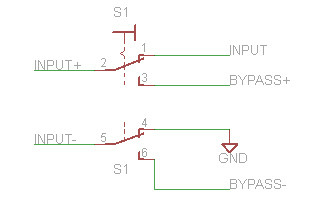 In case you're trying to follow the above diagram, it's important to note that what's on the left of the OUTPUTCOUPLING capacitor in the above schematics uses VCC=9V as a supply voltage, whereas the resistor network on the right of the OUTPUTCOUPLING capacitor uses 5V from the Arduino's voltage regulator as supply. -have you verified that you are able to read other analog sources from the Arduino pin you are trying to use? Perhaps verify that you are able to read values other than 1023 in software by using a simple potentiometer to vary the voltage supplied to the ADC? Alternatively, perhaps trying using a different ADC pin? It is common for single pins to get "fried" while the rest of the microcontroller works fine. -if your multimeter has an AC mode, you might have some success trying to measure AC at various points in the circuit. Make sure the input signal (probably millivolts) is making it to the amplifier, then through the amplifier, then to the Arduino input. And use the DC mode to check that the signal remains centered about the expected value. I still do have the EAGLE schematics, but they are of no real functional use... I only used them to create the drawings above, I did not create them with sufficient rigor to allow them to be used in simulation, layout or any such. If you're still interested, let me know. Best of luck! Keep me posted! Should the VCC at the MIDI port be 5V also, or is it the 9V VCC used elsewhere? Oooohoho... good find... It should be 5V. If you use 9V, your mileage may vary. In practice there is an optoisolator at the MIDI In end; essentially the TX line (pin 5) on the MIDI output port will be shorted to pin 4 when it's active, so depending on the voltage drop from the diodes within the optoisolator and the sink capacity of whatever you have connected to the TX line, you may or may not burn something out at 9V. So if you want to stay safe... stay with 5V :-) Thanks for pointing that out! Similarly VCC should also be 5V for the switches on D9, D10 & D11. Is there a reason not to use the internal pull-up resistors on the Arduino or ATmega for those push button pull-ups? I'm pretty close to getting to the board stage on this. Has anyone got any feedback on the value used for the input coupling cap on the amp? I was tempted to use 0.1uF as I have before with this component, but not sure the implications that might cause. Wow, after all this time, I finally get around to taking a look at this. Sorry for the delay, and a huge thanks for your questions and comments! Indeed, the VCC 9V vs. 5V was quite unclear on these diagrams! I've updated the diagrams with what I hope clearer labelling. There is no reason not to use the internal pull-up resistors - in fact, believe it or not, I was unaware of them when I put this project together. I've added a note to this effect - thanks again! Thanks for the clarification. I've been off on other projects - there's always plenty of those on the go. I've just updated the schematic so next trick is the board layout. After all this I'll have to find out where to send you one when they're done. Thank's for a graet project but i have a problem with compiling a program. I read the cod over and over and now i'm no idea to fix this problem. I found the same, and that's just one of many errors it throws. I found it doesn't compile since Arduino IDE 1.0 however it's quite happy with that line with Arduino IDE 0.22 and compiles without warning with that version. My fallback plan was to use the older IDE if I couldn't find a fix when the time came to hit the code. Hey guys, I FINALLY got around to altering the code so it builds against Arduino 1.01. It's untested, but the required modifications are relatively minor so I'm confident it should work. YMMV. Links available inline above (look for "Dropbox"). Sorry for the delay! I make a prototype of the tuner without amplification stage. I use a 4x20 character display. but the display after "Hello world" displaing : "A=00.0 Hz"
and i can't change this value by the buttons. The buttons are connect property and work OK except changing value of the frequency. Unfortunately with what you've described it's not possible to debug your work. Hopefully your issue will become obvious for you soon. I'm sorry for not answering sooner - I've been terribly busy - but rest assured, your replies are safe in my inbox and not going to fall through the cracks. I would maybe try getting rid of the calls to LoadTuning() and SaveTuning() to rule out any EEPROM-based issues, and would try to add some debug statements (prints to LCD or serial output, if you're not using the MIDI port) to make sure the code manages to leave the TunePitch() routine eventually. Hopefully I will have time soon to revisit the sketch and update it to build against the latest IDE. I do not have hardware to test it, but at least I can try to make sure it builds. Will keep you posted! And Geoff - many thanks for helping out! Is the potentiometer on the rear of the case VADJ1? Glad I asked! I got that wrong. If VADJ1 is a trimmer, which component is the potentiometer on the case? Wow sorry!! Brain fart there: RCONTRAST is the trimpot inside the case - VADJ1 is the normal pot on the top of the case! Yeah obviously VADJ1 needs to be accessible, to tweak amplification depending on the sensitivity of your input device. All good. Originally I had them both as trimpots, then I put VADJ1 as a connector on the board so I could put it externally...but thought I'd best check. Your offer of sending a board over is both extremely kind and generous! I would of course be honoured to receive one, though it should be said that I don't expect any compensation from this blog and that the interaction with which you have provided me these past few months is already a lot of fuel for me to go on. :D Just want to make sure you don't feel obligated. Hi Frederic, The boards look good (if I say so myself) but need a rework as I introduced an error. Can you drop me a note to geoffs_aus at hotmail dot com? Will send you a progress photo. Hello Sir. We have proposed a project same as to this one. Would you mind if I can have a copy of the whole schematic diagram of this tuner? Also the materials you used. Please help us out. Thank you, sir. However, a reader by the name of Geoff Steele is building a version of this circuit which combines the Arduino with the tuner directly onto a PCB. I surmise he might post here when done if he chooses to make his designs available. As for the materials I used, aside from the component values marked on the diagrams, I'm sorry to report that aside from the Arduino RBBB from Modern Device, most everything that made it into the final build was from a local surplus store and thus from mostly unidentifiable sources. However, you should be able to substitute any equivalent generic parts for the LCD, switches, LEDs, capacitors, diodes, etc. You should be able to procure these from most electronics hobby shops or online sources (of which my favourite are digikey, mouser, and ebay). As long as you stick to somewhat similar component values, I think you should be able to make the tuner work; it's not a particularly sensitive circuit. I wish I had the time to take things further and truly make something like an Instructable out of this project, with step-by-step instructions, but as it stands, cloning this project does require a bit of DIY knowledge, patience, and a will to tinker. A handful of people have reproduced the circuit and used the software with success, however, so don't let that discourage you. If you do attempt to build something equivalent and run into any issues, I would be glad to assist to the best of my ability. Follow-up question sir. Did you consider the wattage and the voltage ratings of the resistors and capacitors? I did! However, since nothing in this circuit is neither high voltage or high current, it's usually quite easy to find parts which will do the job. I believe the resistors I used were 1/4W and the capacitors were all >16V, possibly >25V in some cases, which is more than enough derating to accomodate the 9V power source. From a cursory glance at the circuit, I think the only components you really need to worry about are the ones around the power supply and the backlight resistor for the LCD. For the former, the datasheet makes the required component ratings clear; these will vary depending on the exact flavour of power regulation circuitry you use (adjustable, fixed, etc.). For the backlight resistor, it is probably safest to measure the backlight current draw (or its documented value, if you are lucky enough to have it) and compute the required resistor wattage rating. In my case, if memory serves, I believe the draw was a bit less than 100mA; with a 10 ohm resistor, this amounts to 0.1W, which is once again well within operating range of a 1/4W resistor. Oryt! That helped! Thanks for the response sir! I still have a question. 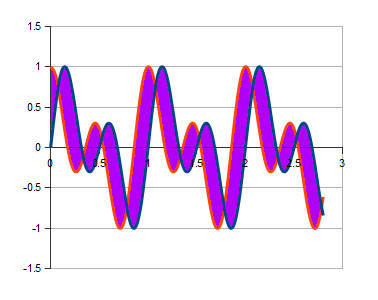 What is the circuit in your project that can analyze the frequency coming from the guitar? Also, about MIDI, I hardly understand that. What does MIDI do? and does it have a circuit, sir? Thanks again. As for MIDI, it's simply an acronym that stands for Musical Instrument Digital Interface (http://en.wikipedia.org/wiki/MIDI). It is a set of protocols and physical interface standards that allows digital instruments to communicate together. In this case, when the tuner detects the fundamental frequency of the analog input signal, it is able to output a digital MIDI signal on its MIDI port saying "play this note". If a digital instrument (for example, a digital piano) is connected as a slave to the tuner and configured to listen for these signals, it will play the same note that was detected from the tuner input. You can actually see this in action in the video embedded on this page around 2:25 (http://www.youtube.com/watch?v=oGKE1vmAWCA&feature=player_detailpage#t=145). MIDI itself is quite a simple protocol and does not require much to implement. The MIDI Output side of things is a bit simpler than the MIDI Input, so it's easier to drive instruments than it is to act as a slave. (For example, my synaethesia lamp reads MIDI as input to drive the colors http://deambulatorymatrix.blogspot.ca/2012/09/syneasthesia-lamp-2007.html; you might need a similar setup if you wanted to build, say, a synthesizer.) The tuner's MIDI output port is documented on this page under the section named "The MIDI Stage" and does not require much of anything to implement other than power, a resistor, and the actual physical MIDI connector. Really great efforts dear. I love you work and post. I have something for you. it's guitar tuner apps. I know love to install it. Hehehe, thanks for the link :) Yeah, the motivation for this project was definitely the challenge. Back in 2008 though around where I live smartphones were not yet ubiquitous, so there was less "competition" on that front. :D Sometimes though nothing beats stomping on a box of hardware and knowing nothing but your guitar's signal will make it through to the tuner in a noisy environment. All the best, and thanks for the interest! my name is Robin and I am in the last year at school. I'm doing Electricity/Electronics and because it is the last year, I have to do a project. What I want to do is to make a MIDI-guitar. The first thing I have to do is to 'connect' the strings to an Arduino and then I have to use the Arduino to change these readings into MIDI. When I have the MIDI, I'm going to use something like Abelton Live to put some effects on it. Can you help me with the code and a way to connect my strings? Really thank you in advance! And before I forget; your project is really amazing! I wish I was such a great inventor myself! -as you seem to imply, in order to get reliable MIDI output, you'll probably have to find some way to connect the strings individually to a sound analysis module. Performing fundamental frequency analysis is a different (and much simpler) beast from detecting multiple notes in a single unified waveform, a bit like Melodyne does (http://www.celemony.com/cms/). Even as an impressive professional product, Melodyne is not a perfect system either. -since you would need more processing power than an Arduino anyway in order to complete this project, you have a nice opportunity to take things in steps. I think the first thing I would probably try to do is see if it's possible to use an Arduino as an external sampler - it has six analog inputs, that's a great fit for six guitar strings - and feed the sampled data to a PC through a high-bandwidth serial port connection, where you could do much more crunching without worrying too much about software performance. A quick back-of-the-envelope connection tells me that 115200 baud, that leaves about 19200 baud per channel, which is 2400 bytes per second (without counting overhead etc.). Per Nyquist's theorem, this would let you detect signals up to 1200 Hz. If this is not enough, you can see about either increasing the baud rate (might be difficult depending on your PC) or sending a signal with lower bit depth, which might still be sufficient to perform pitch detection. -isolating the inputs from the six strings is probably the most difficult part, hardware-wise. My initial thoughts were along the lines of "separating" the individual coils of a normal pickup to provide twelve output leads, with one coil per string, but my hunch is that there would be too much crosstalk from one string to the next coil over to make this approach viable. I suspect this is probably part of the reason why the Ghost system uses individual piezos, to truly isolate each string's vibration. Funnily enough, I myself am looking to build something like a MIDI fretless/soundboardless zither/harp at some point in the future, and I've been doing a bit of research lately into using either cheap off-the-shelf piezos and adapting them to shrink their size and pick up strings individually, or even growing piezo crystals at home (https://www.google.ca/search?q=rochelle+salt&oq=rochelle+salt&aqs=chrome..69i57j0l5.2243j0j7&sourceid=chrome&espv=210&es_sm=122&ie=UTF-8#es_sm=122&espv=210&q=how+to+make+rochelle+salt). However, I've yet to try building anything physical, so I'm unable to offer any deeper specific advice on this front. Again, my hunch is that buying a handful of cheap piezo transducers and figuring out a way to hack these into the guitar is probably going to yield a more even sound than home-grown crystals. Alternatively, if cost is not a prime factor to you, you might be able to buy just the pickup part of a Ghost (http://www.graphtech.com/products/brands/ghost/ghost-pickups---guitar) or adapt some Kortier harp pickups (http://www.kortier.com/pickups.htm, somewhat pricey if you buy a kid and only want to use six, but you might be able to write them and see if you could only buy six - assuming you can find a way to jury-rig these into a guitar). As for the software... well, I think if you can get the hardware working well, I think you will have a much easier time with the software. :) The downloadable code on this page will provide all the required building blocks, and though you'll have to adapt them to work on six strings in parallel and to run on another platform, I believe the core frequency-detection algorithm should work pretty much the same unchanged (aside from maybe increased precision from running on a platform with more horsepower, etc). Depending on the scope of your project, you might also want to enrich the MIDI control signal to provide modulation when you bend your strings and so on. That would be a bit more work, but it's mostly about changing the code that converts the detected frequency to MIDI. To be sure, the project you are attempting to complete is quite complex, but I think you will have a lot of fun trying to get it all working! Je vous souhaite la meilleure des chances, and please keep me posted! I'll be glad to assist wherever I can. Bonjour Raptor! First of all, I'm so sorry that I answer so late on what you've said! I've had forgotten that I posted something on your page. But, though, thank you very much for answering and giving me so much information! I will analyse this the coming days and I'll see what I can do with it, I think some things can be very useful for me! What I already have is not that much... I bought a hexadecimal pick-up and built it in in my project guitar. So I can already separate the strings from each other. The next thing that I'm going to do is to look if a can create something that can say like 'oh, that frequency belongs to that bandwith so that means I have to play this note'. The thing is, that won't be easy! What I also have to do is to change the signals the pick-up gives because they are to weak, I still have to measure it, but I already did some research about it. Something else is that the level of the voltage also lays under 0V, and my Arduino can only ready signals from 0V to 5V. I think it's cald 'superponating' (I don't know if it is a right translation... ) to change the voltage of the signals. So I will be very happy if I can make something to let that work! And what I may not forget to say, really, really thank you for the support! It helps a lot!! I will now post more frequent on your blog, I won't wait 3 months again! Really thank you for everything! -the software for the tuner (available from a few links near the top of the page) should definitely take a signal, find its fundamental frequency, and translate that to a MIDI signal for you. As mentioned earlier, there is latency, but still. If you want to do this on PC, the theory is the exact same, though you'll probably achieve much greater responsiveness (i.e. smaller latencies). Hi, I love your project and I plan to use your design to make my own tuner for my advanced physics investigation. The plan is to make the tuner and use it to identify notes played on a violin, and use this to find the frequency of each note using a data table - unless you know a way to make the tuner instead show the frequency of the note played?? I will then plot graphs of frequency against length, mass (of string) and tension. Could you help me make a list of all the parts I need to get? Hey Kat-y!! Thanks for your feedback! I must first apologize for the *massive* delay between your comment and my answer. I normally try to be a bit more snappy, but lots has been going on in my professional life lately and I've had little time for the blogging. So: the good news is that the tuner does actually compute the frequency internally! This is done inside the function DetermineSignalPitch() (which in retrospect is a somewhat poor name). 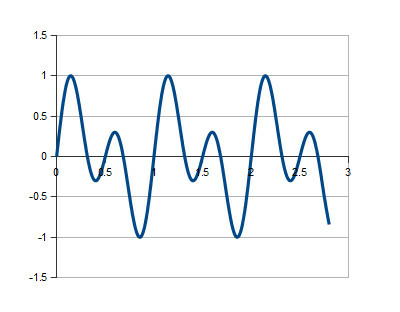 The value returned by that function is the frequency in Hertz. By default, the tuner goes on to translate the frequency into a MIDI note value, etc. for display and MIDI output, but you can just get rid of all the code after the call to DetermineSignalPitch() and simply make it display the frequency on the LCD readout, write back the value to a PC over a serial port, etc. The best value for you to use as a "source frequency" is probably the float variable "filteredFrequency" used in Tuner::Go(). It will smooth out the value produced by YIN a bit, which should give you something a bit more usable than the raw, instantaneously-detected frequency. As for a parts list: do you mean a full bill of materials to assemble a tuner as documented above? Unfortunately, I don't really have such a list readily available, though another reader, Geoff, may eventually provide something along those lines here once he finishes building his own version of the circuit. I definitely won't hold him to it though, since he's been helping out and contributing to this page out of his own time and interest. That being said - if your goal is specifically to determine the frequency of a violin's string and you do not care about the specific means about which this end is accomplished, you would probably have a much easier time using a computer, a microphone, and some simple pitch analysis software. For example, Audacity (http://audacity.sourceforge.net/) has a built-in spectrum analyzer (Analyze/Plot Spectrum...) and the pitch detection plugin found here (http://forum.audacityteam.org/viewtopic.php?f=42&t=71854) seems to work pretty well. You would probably obtain much more precise and reliable results with this method than by using a tuner like the one presented on this page. I hope this helps somewhat, even though I was unable to help out with your second question. I wish you best of luck and hope your project works out. Keep us posted! So i am working on a resonant frequency project for a technology fair. My objective is to record the sound of the ring a wine glass makes and to play the peak frequency back through a speaker. Would you have any insight on how i could detect the peak frequency and save it as a variable. Hmmm, great question! The first thing I would do would be to look at the spectral distribution of a wine glass ring and see if the peak frequency is in fact the fundamental frequency of the signal. 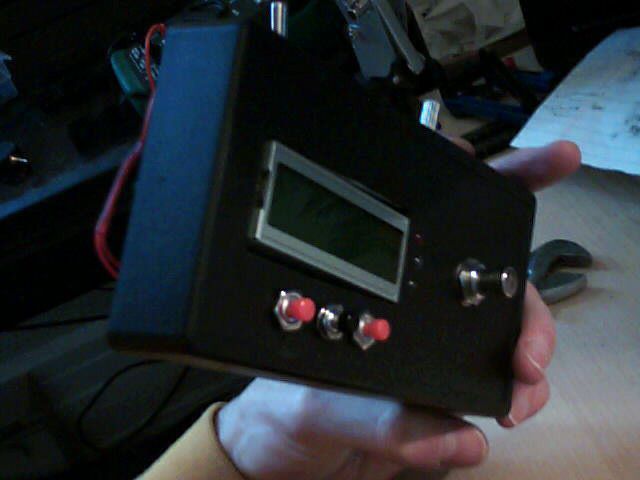 YIN (and thus, this tuner) detects the fundamental frequency of the signal, not the strongest harmonic, so depending on the spectral power distribution you may or may not be able to use this project as a basis. Keep in mind that depending on the precision and responsiveness you require, it may be difficult to perform an FFT of sufficiently high resolution to hone in on the peak frequency on Arduino. On PC, you would be less constrained in terms of computing power. If you are happy simply detecting and playing back the fundamental frequency of the signal, then you could definitely start with this tuner project as a basis and simply replace the LCD output code with a small routine to drive a speaker (or an audio output jack) at the appropriate frequency on the Arduino. Otherwise, if you're on a PC, you have a few options. You could use the original YIN paper to implement the algorithm and output a tone using the PC's sound card, or you could again try to use a system like Pure Data or Max/MSP to accomplish your task. Hopefully this gives you a bit more background for your research. Let us know how things turn out for you! Hi there Jubel! You should be able to download all the code for this project from the links higher on this page. Hopefully that gives you a decent starting point; the gist of the algorithm is explained here as well. Let me know if you have any more specific questions and I'll do my best to help out. Best of luck with your project! Thanks for posting this great project. I am trying to do something similar. I want to be able to see what note is being played by a guitar based on you're YIN code. I want to send signal through Analog pin A0 process it through your YIN code and see the resulting detected frequency. Can I monitor what frequency is detected through the Serial Monitor? I already have a pre-amp so there's that. I've been reading through similar questions above but it still isn't clear to me what I can keep in the code and what is superfluous for my needs. I'm using an Arduino Uno. You're reply is much appreciated. You should be able to use the code relatively easily to do what you want: simply change ENABLE_LCD to 0, and look for the variables "instantFrequency" and "filteredFrequency" in the code. The former is the output from YIN, and the latter is the same but run through a low-pass filter; it should be smoother. I would start by printing filteredFrequency through the serial port and moving on from there. You can easily change the analog input pin used by the tuner by passing a different value to the Tuner object constructor in loop(), but I must admit I haven't tested that in a good long while so I can't guarantee 100% it works. By default it uses pin A5. Thanks so much for your quick reply!!! You are very kind. I have a working code of the YIN algorithm now. When I see the frequencies on the serial monitor, I often see an initial trash value after striking each string. Any idea why that is? Hmmm, that is a good question! It is quite possible that my tuner has the same issue, but it may be quite difficult to tell from the user's standpoint since I only communicate through an LCD, which is relatively slow to update. -strangeness due to the initial aperiodicity of the string vibration. 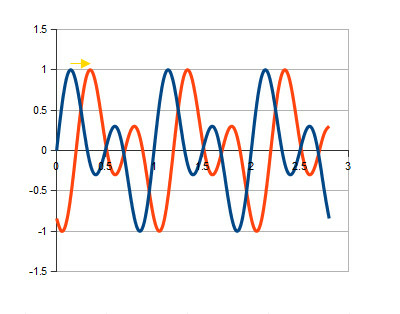 When the string is struck, it takes a very small amount of time before it actually settles into its standing wave pattern; thus, the first very short part of the signal is actually not quite periodic, causing issues for Yin. This strikes me as an initial condition problem that's not likely to be trivially solved. If you're not too fussy about things, I would probably just skip the first few values or try to filter them out, something like that. That does introduce a small amount of lag into your system, but if you can live with it, that's probably the easiest way out. If you do wind up trying to dig deeper, I would maybe try to log out the deeper workings of the YIN algorithm. Since the tuner code is made to run within the boundaries of the 1K of RAM available on an ATmega168, you could use the extra 1K of RAM available on the Uno's ATMega328 to store a small number of samples from the moment a string is struck, dump those out, and visualize them in in a spreadsheet program to see if anything stands out. Do let me know if you find anything! Once again thank you for your reply! I will most likely try to skip those values for now. Another interesting thing I noted was when I hooked up an audio signal of an acoustic guitar strumming slowly down the open strings to view as a reference. I noticed a periodic spike in the frequencies... Anyways, I'll try to hack these out for now. I have a quick question. In order to do processing upon the detected frequency, is it best to do it within the Go() function or to maybe return the frequency to the loop and call another function to do other processing? Is there a difference? Hmmm, well, the thing is that the Go() function performs setup and teardown by calling Start() at the top and Stop() at the end. These are probably things you don't want to be doing over and over, since they will just waste time; you only need to call Start() once at the beginning of the program, and Stop() once at the end (if there is an end). Thus, I would suggest doing your processing inside the Go() function itself, if you wind yourself being able to use most of the code in there. You can obviously remove any parts of the code you find yourself not relying on; alternatively, you could write your own Go()-like function, calling Start(), Stop(), and DetermineSignalPitch() in whatever context you see fit. Hi Raptor, Looks like an interesting approach. Question - how does the system handle if there was added white noise? Reason behind it, is I am trying to detect a single tome, 400 Hz (Morse Code), among low level white noise. Hi there Peter! Well, YIN works by autocorrelation, so in principle white noise should not overly impact its performance. 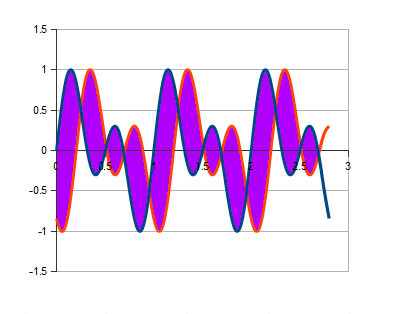 However, if the signal to noise ratio gets too low, YIN might converge to false "grooves" in its autocorrelation function, causing your output value to jump around a bit about 400Hz. If your noise is not truly even in its frequency content, however, and the signal to noise ratio is low, YIN might pick out the dominant frequency from your noise, but I imagine things would have to get pretty bad for this to happen. hi, great job you did there. I am new at programming and I want to do a project mach simple than this. I want to make a guitar tuner using an electret microphone and some LED's. Do you have an idea how to make it in LabView? Or maybe the Arduino code as I will try to understand it and then make it in the LabView version. Can you help me, please? As it turns out, I think the most complicated part of this project is probably the tuner itself. Interfacing with the LCD is a relatively well-documented thing, and in fact if you download the C++ Arduino code linked above on the page, you can disable the LCD code altogether and replace it with something of your choosing (i.e. driving external LEDs) by changing ENABLE_LCD to 0. Obviously, if you're stuck trying to understand the algorithm, you should definitely feel free to post questions here again! :D I apologize for the initial delay in answering - I was out of country for a while, but I normally try to get back to people a bit faster. Can you please send the Arduino and YIN codes on my e-mail adress? I tryed to download them and for the YIN code the link sends me on a commercial page and for the Arduino code i got the Error(404) wich tells me that the requested page doesn't exist. My most used e-mail adress is dry_boy_94@yahoo.com. Ah, very strange! The links still work for me. I sent you the files by e-mail. Let me know how that works out for you! Just found this after messing with a less satisfactory method for days. Your method worked right out of the box. Well, after trying a few different capacitor values. Very robust. All I needed was a ballpark frequency for each note played so I could apply an auto-tone control in a pedal. Applying a simple low pass filter via a digital potentiometer. You've done some fine work here. And you've kept up with user comments and questions for 3 or 4 years -- and you've been very polite about it. I'll stop here. Splendid work. Thank you! A mate has a Roland “GK” pickup ( guitar http://roland.com/V-Guitar/about.html) which outputs one audio channel per string. Using that we could encode MIDI for each note and get past the limitation of one note at a time only. 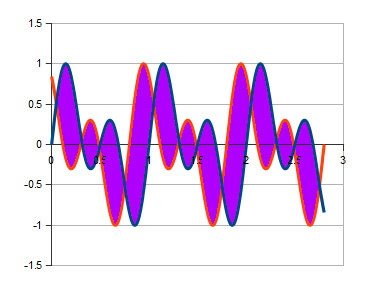 Do you think this tuning algorithm could be used on a single ATMega and preamp setup like the pedal uses, with the addition of a CD4051 multiplexor to select the channel to sample; or would it need an independent microcontroller and amp to sample each? Oho, that pickup looks very interesting..! I was aware of the Ghost but not the GK. As for performance with a single ATMega - as you can tell from the original video above, even with just a single signal to parse, there is a short but perceptible delay, probably on the order of 100ms or something. I tried to minimize this by reducing the iteration precision of YIN to do _just_ enough work to identify a tone for conversion to MIDI. You can see that in the code, where it earlies out if in MIDI mode in order to reduce latency. You can reduce the precision even further, but for higher notes the detection starts to be off by a tone or two. Incidentally, if you did choose to proceed with an ATMega as the only component in the system, since the code only uses the 8-bit ADC mode, you would actually have enough analog inputs to sample all six strings without requiring the use of an external multiplexer. You'd have to fiddle some constants in the code to setup all the I/O registers properly but it shouldn't be too complex. Hopefully this gives you and your friend some ideas to toy around with. Don't hesitate to ping me if you want to bounce around a few more! ;-) And of course I'd be super curious to know if you do wind up building something! Hi Micro! For some reason the dropbox link appears to be broken for people in certain countries. There is a google drive link as well, here (https://drive.google.com/file/d/0B2BMZAi6YqSmTllPWnBOcnd4X2c/edit?usp=sharing at the time of this writing). Let me know if that doesn't work! Haha, thanks for the feedback, Scott! Let us know how that turns out for you :D Best of luck with your project! Raptor, are you for hire? Please email me! I have a very similar project you could just mod this code for, I am not advanced enough to do it. I have a budget! I know this is a little late. But i just found your project and i am highly interested. and i have a few questions. 1) I am trying to copy your circuitry and I am slightly confused as i have rather new at circuitry. I saw you do have eagle board plans and i heard they aren't the best but could you please send them to me. Helly Walker G. Harris! I will reply privately to your e-mail. I will send the schematics but I truly recommend you do not use them as a starting point for implementation... they were really only used to produce the above pictures. They were never validated or used in any other way (like simulation, for instance). As for your request to get the frequency detection code, the code that's available above on this page via the Google Drive link should do what you want. The line that says "float instantFrequency = DetermineSignalPitch();" would be a good point to start. Hope this helps! I'm a french studdent and i'm trying to build an automatic guitar tuner but I'm a bit lost with the amplification stage, I don't know how to choose an AOP. Do i need to procced to some test before..
-you can easily adjust its gain from very small to very large values. -it is very cheap and available pretty much everywhere. In another unpublished test implementation of this tuner, I simplified the circuit even further and removed everything between the output of the LM386 and the Arduino except for the shunt diodes D1 and D2. By powering the LM386 off the Arduino's 5V bus, I relied on a third great property of the LM386: it automatically biases its output around half the supply voltage, which means that it's centered around 2.5V. I'm a tinkerer, and if it can be made to light up, move, beep, or sizzle, I'm interested. To pay for stuff, I've been making video games professionally since 2001.